Central Florida's Place for Rejuvenation! Welcome to Halo Med Spa Longwood, FL. Turn back the hands of time, leaving you feeling refreshed and rejuvenated! Be Rejuvenated – Halo Med Spa Longwood is Central Florida’s PREMIERE Medical Spa for men, women, and teens wanting to look and feel their best. 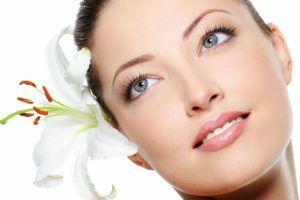 We offer innovative aesthetic procedures using state-of-the-art technology as well as a variety of luxury Medical Spa services in Longwood, FL. It’s our goal to be your place for rejuvenation. At Halo Med Spa Longwood, we are committed to the highest level of service possible. Lee Kramer was born and raised in the Phillippines. She graduated college with a degree in Business Administration, minored in Banking. 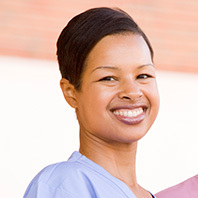 She worked at Florida National Bank for 4 years and returned to school to become a Registered Nurse. Lee became interested with skin care due to her problematic complexion. With her medical background and skin care studies, Lee decided to open a medical spa to help clients learn and maintain their skin while keeping and preserving their youthful glowing appearance. Every client is different. So are their needs. We tailor every treatment just for YOU. This is why we require a Free Consultation before any treatment. See the difference at Halo Med Spa Longwood. What fantastic service! The staff educated me through the entire process and the results are better than I could ever imagine. I was a little nervous being a first-timer. Lee gave me the confidence I needed. Now I feel and look amazing! Wow, I’m so happy with the results. You managed to exceed my expectations! I would definitely refer you and your services. Call us today at 321-279-4498.